This week we will explore the inquiry process, how to develop inquiry questions and delve into the structure of your inquiry projects. Critically examining the process for an inquiry will help ensure understanding and clarity. Plan and attend your first MENTOR CONNECT chat - using the technology you've worked out with your ONedMentor Connect selected mentor. 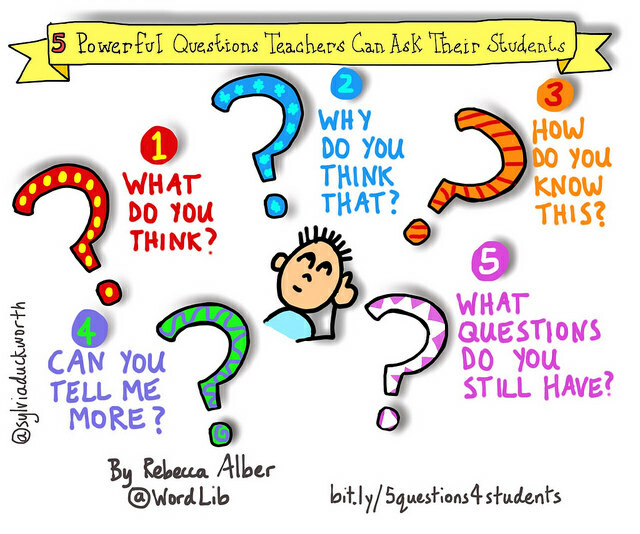 5 Powerful Questions Teachers Can Ask - Edutopia. 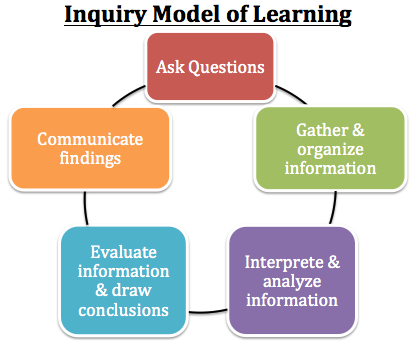 What is the process to follow when conducting an inquiry? 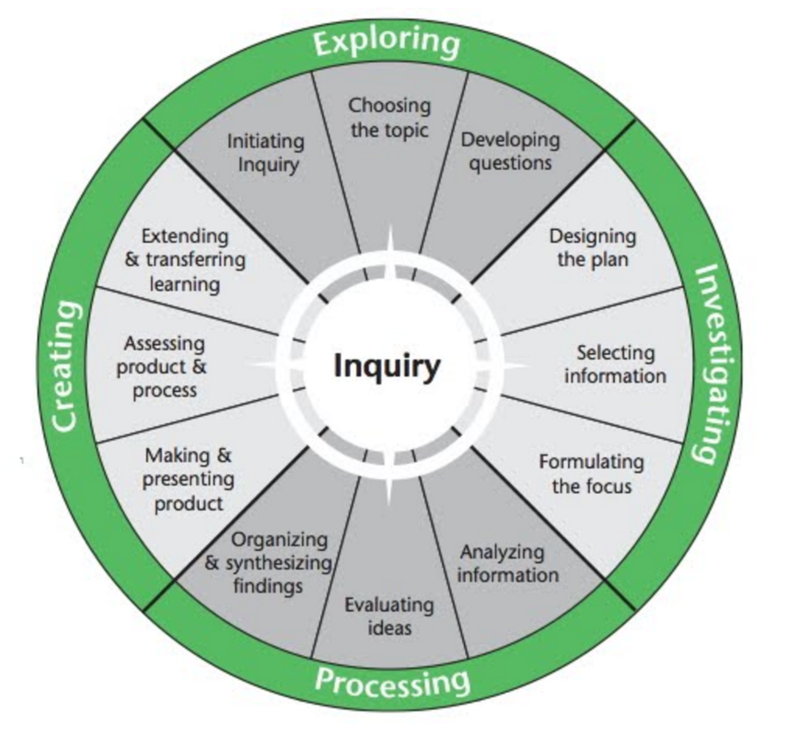 How do you plan an inquiry project? Where does critical digital literacy fit into an inquiry? Make connections from the readings, your practicuum experiences and your own previous involvement in research. 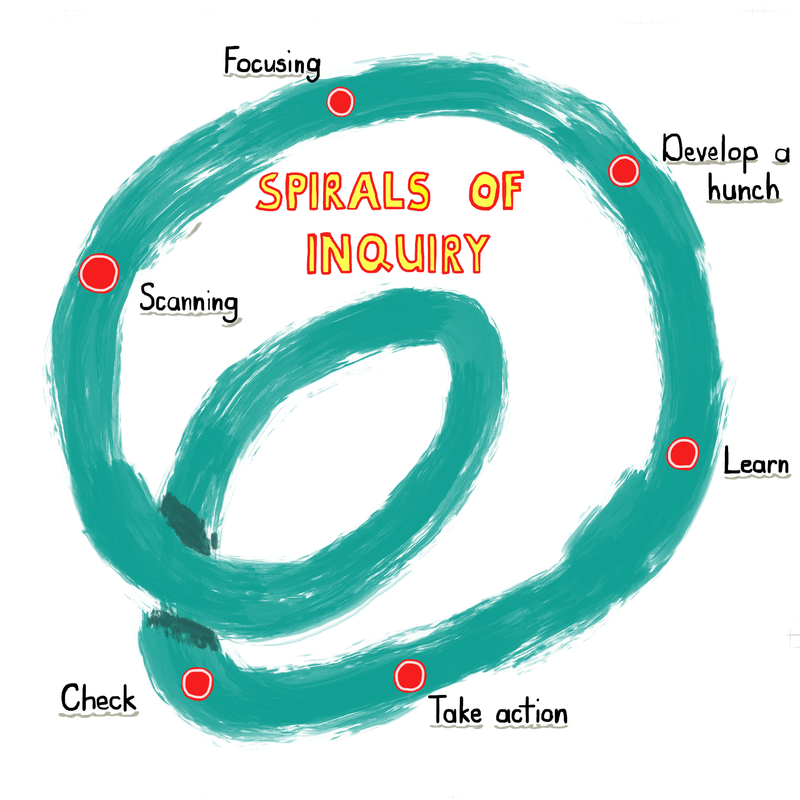 The video and images below share a process that can be applied to your own inquiry project. How will this process inform your project design? Collaborative Teacher Inquiry. Secretariat Special Edition #16. Inquiry-based learning Secretariat Special Edition #32. Meet with your mentor using the digital tools of your choice. This could be done in Skype, Google hangout, FaceTime, Zoom or other video/audio devices (a phone call can also work wonderfully). Pick technologies that are familiar and easy to use, so critical digital literacies or fluencies don't hamper the conversations you want to have. Share one or two insights about your mentor meeting in SLACK with your small group OR in the large group #oem_connect channel. Complete ONE page in our OEM Connect google slides storybook. Follow instructions to create your own page in this collaborative story. You will need to sign in since this is a private space for this course. ​​What is inquiry? How can an inquiry approach support or challenge teaching and learning about critical digital literacy? What connections can you make from your own teaching/ learning experiences to the readings and explorations into inquiry? MEET your MENTOR in some digital collaboration/ conversation tool of your choice. Learn more about the Inquiry Model for Teaching and Learning from this collection of resources. Follow HJ.DeWaard's board Inquiry on Pinterest.